Norwegians are calling it “wild camping” this summer, to describe cases where tourists park their motor homes or set up tents in places where they can avoid fees and use facilities for free. Campers spotted in graveyards on scenic Lofoten have set off protests from residents and the tourist industry alike. Campground owners have earlier complained about the drivers of expensive motor homes who use their facilities but then drive off without paying, to find some place where they can park for free intead of paying a fee that’s the equivalent of around 20 euros. The practice has caught some Norwegian campgrounds by surprise, since camping vans often must pay for septic disposal and other services abroad as well, and a much weaker Norwegian krone has made currency exchange rates the most favourable for foreign tourists in years. Now Norwegian Broadcasting (NRK) is reporting about campers with tents who’ve been found spending the night in local cemeteries. Local resident Tore Holmen said he was visiting the grave of his father in the churchyard at Reine when he came upon two tents set up nearby, inside the graveyard area itself. There are restrictions, however, including bans on camping too close to a private residence and on camping for consecutive nights. 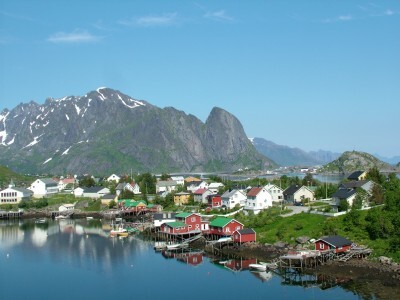 “Many foreign campers perhaps think they can set up a tent anywhere,” Elisabeth Dreyer of the local tourism promotion agency Visit Lofoten told NRK. She can understand that local residents are upset by campers and tourists who lack respect and consideration. “We of course don’t want to discourage tourism, it’s important for the region,” Dreyer said, “but we can’t come in conflict with the local residents either.” She’s proposing a form of “camping police” for the area, who could guide tourists to acceptable areas where they can spend the night. “We have to do something, because there shouldn’t be a need for folks to camp in churchyards or people’s gardens,” she said.